Making a gift for the benefit of John Paul II after you are gone is a wonderful way to create a lasting legacy and ensure that the education and formation you and your family have received will be there for generations to come. For more information or to answer your questions about a possible gift, please phone or e-mail Kelly Petruyat 469-229-5224 or kelly.petruy@johnpauliihs.org. John Paul II High School has established a permanent endowment fund at The Catholic Foundation that is uniquely ours which will provide annual support for our facilities as well as funds for scholarships, our programs and operating expenses. You can easily make a charitable gift of a specific dollar amount, percentage of your estate/trust, a certain asset or make the John Paul II High School Endowment Fund a “residual beneficiary”. In addition to a very generous charitable gift, your trust or estate receives an estate tax deduction as well. Click here for more information on bequests and specific wording options that may be appropriate for your will or trust. By designating the John Paul II High School Endowment Fund as a beneficiary of your IRA or retirement plan, you support important our work and avoid both estate and income tax. 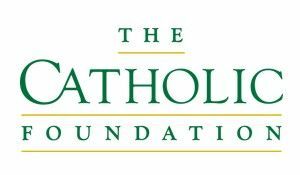 All that‘s required is to name “The Catholic Foundation for the benefit of the John Paul II High School Endowment Fund” as beneficiary for a portion or all of your IRA or qualified retirement plan. You can assign whole life insurance policies and name “The Catholic Foundation for the benefit of the John Paul II High School Endowment Fund” as beneficiary. In return for your generosity, in most cases you receive a tax deduction for the premiums you have paid on the policy.